Taiwan, you little beauty. I don’t know why more people don’t come here, it is a much needed relief from the craziness of Hong Kong and especially China, it should be on everyone’s list. The people are friendly, the scenery is beautiful, the food is yummy, the public transport is air-conditioned and all in all it is an amazing country. We booked our flight to Taiwan whilst in Hong Kong, after recommendations from a couple of people we met along the way. We looked at different options such as getting a ferry across but as far as I’m aware the cheapest, quickest and most convenient way from Hong Kong is via plane. We arrived at Hong Kong airport, via the easy and convenient airport express train without an onwards flight booked from Taiwan. They told us as we were checking in that we should have an onwards flight. As we didn’t we had to fill out a form saying that we will pay any charges if questioned when landing in Taipei. I didn’t like the thought of this so sat in a cafe in Hong Kong airport, eating a lovely lunch and using their WiFi. Here we booked a flight out of Taiwan to Japan, for 18 days later just to cover ourselves. We went back to the check in desk and they removed the forms, entered some information on their computer and we felt happier about out trip. Going through Hong Kong airport and getting my bags scanned there was not a single issue with my diabetes needles and injections. Everywhere so far has been aware of diabetes and do not question you at all when going through, you still should carry a letter from your doctor just in cas e.
I really enjoyed Taipei, we had 4 nights here taking it easy. We probably could have done everything we wanted in 2 days but it was nice to take our time and chill out for a bit after the madness of China. The metro system was very good, if not a little confusing. Every station is absolutely huge but you’ll find your way around, the trains run frequently and can get you to every corner of the city, and sometimes a bit further! The Moakong Gondola leaves from the Taipei Zoo stop and travels all the way over the tea plantation in the hills. It has 3 stops along the way with the last one being Moakong, up in the mountains with a ton of restaurants selling local tea and food. The gondola costs 120TWD each way and for me was well worth the trip. We timed it well and jumped on when the sun was setting, seeing the city and tea plantations glowing orange. We met a lovely family in our Gondola who had moved back to Taipei from Chicago after a few years away. We went for dinner with them at the top in Red Wood Restaurant, sampling the local food and tea and trying dishes we wouldn’t have tried if we were on our own. The fruit tea was so tasty, using fresh fruits grown on the mountain we were on. This is the place to try it as most places in the city won’t use fresh fruits. The National Palace Museum is number one in all the guide books and apparently has 2 million visitors per yea. To be honest it wasn’t that great, it’s not remotely about the history of Taiwan, just a huge collection of Chinese art which is nice, but I personally wouldn’t recommend going here if you have been to China previously. To get to the museum jump on the Metro to Shilin, then catch the R30 or the 304 bus to the museum. Leave the station at the first exit and walk straight to the road to find the bus stop. We jumped on the bus without having to pay, you pay 15TWD when you get off. There is an electronic screen with a little bit in English telling you when to get off. If you arrive at the museum after 16:30 it costs 150TWD instead of 250. We arrived at 16:10 so went to the cafe for 20 minutes to save some money. In here this is the only place in the whole of Taiwan that I found diet coke. Basically your only option as a diabetic in Taiwan is water as everything else is full of sugar. To get back to Shilin station leave the museum and walk to the right just below the steps and there is a bus stop to take you back. Again pay when you get off. From Shilin station we followed signs to Shilin nightmarket which was really cool, but very busy. There is some great street food, lots of cheap clothes and all in all a very nice atmosphere. On our final day we took it easy and visited the Baoan Temple and even though I’ve seen a fair few temples on my travels so far I would say this is probably one of the nicest that I’ve seen. From here there is a sign to a tourist attraction called the 40 shops and houses, do not bother walking to here, it is literally just 40 shops and houses. From Taipei we made our way to Hualien, the city in which you can explore Taroko Gorge. To get here from Taipei you have a few options. You can jump on the high-speed train all the way there, you can jump on a local train which can take a fair few hours, or do what we did. We caught a bus to LuoDong and from here caught the train to Hualien. This is by far the cheapest option and very easy to do. On the day you need to catch the Metro to Taipei main train station and then follow signs to Taipei main bus station, not Taipei west bus station, it’s just over a 5 minute walk. Go to the 4th floor of the bus station to the Kamalan Bus Group desk and tell them you wish to travel to Hualien. They will provide you with your train and bus ticket for 222TWD which is roughly £5.50. Once on the bus sit back and relax for an hour and a half, enjoying the air con and the big, reclining seats. When you arrive in LuoDong you will see the train station across the road. Take a look at the screen and find the train going to Hualien. The train ticket you get given is valid for any train going to Hualien on the same day. Our train left from platform 2a but I can’t promise every train to Hualien does. The train has announcements in English letting you know when you’ve reached your destination, along with big comfortable seats and plenty of space for your big bags. Once in Hualien we rented mopeds for the day and drove to see the famous Taroko Gorge. If you have an international driving licence you can rent a moped for 300TWD, if not as long as you have a drivers licence you can rent one for 500TWD in a couple of places. You do have to leave your passport as a deposit though so bear this in mind. Another option to get to the gorge is the bus. It leaves from the big orange building next to the train station and costs 250 for an all day ticket allowing you to get off at the different stops. We however got 2 mopeds between the 4 of us, so it was the same price as the bus and gave us the freedom to do what we wanted. The road up the mountains is amazing and something I would highly recommend, even if you have never driven a moped before. It’s easy enough to learn and they are automatic so you don’t have to worry about gears. Once up on the mountain roads you can stop where you want and there are plenty of places to park your bike so you can go off and explore by foot. A couple of p laces were closed off to visitors when we were there due to a recent typhoon supposedly making it unsafe. The following day we booked a white water rafting trip. This cost 960TWD and was great fun. It’s not the most extreme of experiences, the Taiwanese are very safety conscious, but it was still great fun. You don’t have a guide in your boat telling you what to do, and the safety briefing is all in Mandarin, but you can work it out. Basically don’t drown, paddle, keep your life jacket on and have fun. The ‘lifeguards’ drive around in speedboats, occasionally bumping into you if you’re heading towards a rock and splashing you with water a lot of the time. You can also hop into the speed boat and go flying over the rapids, but be careful of your back though! From Hualien we booked a train to Taitung for 264TWD. There is not much to do here and is only worth going if you are planning to visit Green Island and/or Orchid Island. The ferry crossing is very rough and you have to organise a home stay if you plan to stay the night on either island. From Taitung we went to Kenting, planning to spend 6 days on the beaches chilling out, however we were caught in the middle of three storms surrounding Taiwan, so had torrential rain for 6 days. To get to Kenting catch a train to Fangliao Station costing 223TWD, then leave the train station, walk down and take left at the traffic lights and you’ll find the bus station next to 7/11. A bus to Kenting from Fangliao costs 169TWD, our train got in at 12:36 and the bus left at 1. We were staying in Nanwan for 2 nights, the next beach down from Kenting beach but there wasn’t much around. I imagine if the sun was out it would have bee n beautiful, but in the rain we couldn’t do much. There was one restaurant, 2 bars and one food shop. However a bus to Kenting takes 10 minutes and is very cheap. For the remainder of our time we moved to a hostel in Kenting itself, which is a lot more lively and only a 10 minute walk to the beach from the main street. At night the whole street turns into a night market and there are plenty of restaurants and bars around and plenty of shops to buy food for your diabetes. If the suns out Kenting is beautiful, when it rains there is not much to do. We caught the bus, the 9188 or 9189 to the southern most point of Taiwan, where there’s a lighthouse and lots of walks though the forest. To enter the park costs you 60TWD but its quite nice and cool to see. We went down here for lunchtime and got some beef noodles from a street vendor for lunch. If you don’t want street food, take your own as I couldn’t see a good shop down there. From Kenting we made our way to Tainan for two nights before heading down to Kaohsiung to catch our flight to Japan. There are a couple of ways to Tainan from Kenting. We caught bus no.9187 costing 301TWD to Kaohsiung airport, then the Metro to the train station and then a train to Tainan. The metro was cheap, easy and quick and the train to Tainan cost 84TWD. Another option would be to catch a bus all the way to Zuoying Train station in Kaohsiung, and then the high-speed railway to Tainan. This would be a quicker option but a bit more expensive. Tainan was a lovely city and it was here we finally got the sun we were craving in Kenting. We stayed in Bike Tainan Backpackers, a 15 minute bus rid e from the train station. The hostel was lovely, it has a nice quite garden to do some sunbathing, a lounge are downstairs to sit and chill, showers on every floor, beers available for 40TWD and the owner May was really helpful and friendly. We hired bikes from the hostel for 100TWD for the day and cycled around the city. We headed over towards Anping where there are plenty of temples, traditional street food, a house engulfed by a tree and Anping Fort, built in 1624 when the Dutch were in Taiwan. Both the tree house and the fort cost 50TWD to enter but are both nice, worth it and a relief from the scorching sun. There is also the option to watch a baseball game in Tainan, surprisingly Taiwan’s national sport. There are a fair few places to go out drinking and lots of nice restaurants. I can highly recommend the beef noodle soup. In order to judge the amount of carbohydrate for my diabetes I looked at the amount of carbs in an extra large instant noodles tub and added a bit more on, this seemed to work out well. After a couple of days we got the train back down to Kaohsiung ready for our trip to Japan. Taiwan is definitely worth a visit, whether its to relax after the madness of China, to see the beautiful scenery, to meet the lovely people or to climb the mountains in the centre of the country. There is something to do for everyone, I just hope when you go you are not caught in the middle of three storms like we were for half our trip!! This entry was posted in backpacking, Diabetes, Flying, Fun, Health, Kaohsiung, Kenting, Tainan, Taipei, Taiwan, Taroko Gorge, Travel and tagged Hualien, Kaohsiung, Kenting, Taipei, Taiwan, Taroko Gorge, Travel, Travel with Diabetes. Bookmark the permalink. Great blog Alex. I think this is a place I will definitely visit when I retire. I have been to Taiwan many times – wish you had more pix of the lovely Taoko Gorge! The Shih Lin Night Market is well known;as Shih Lin is the nicest neighborhood of Taipei, so even the cheapest stuff in the night market is better quality than some of the other markets in the city. Sorry you were not impressed by the National Palace Museum. The art you saw in China was mostly second rate or knock-offs of the items the Nationalists crated up from Beijing and shipped around China evading the Communists until the crates finally made it to Taiwan. The mainlanders now want it all back, but the Taiwanese say, with some justice, that if these artifacts had been in China during the Cultural Revolution they would have been destroyed by Red Guard fanatics. The collection is amazing. I think I went in with the wrong expectations and wanted to find out more about the history of Taiwan and therefore it didn’t meet my expectations. It was very silly of me. Hopefully one day I will get to go back and appreciate it for what it really is. I should have done my research! I’m extremely happy to find your blog. I’m a diabetic; diagnosed about 2 years ago when I was 30. At that time, I had just returned from about 2.5 years away travelling in China and then living in Taiwan. Naturally, I love Taiwan – so much I plan on moving back… in April! I’ve been in the UK since I was diagnosed with type 1 and so this will be my first time being abroad for an extended period with diabetes. 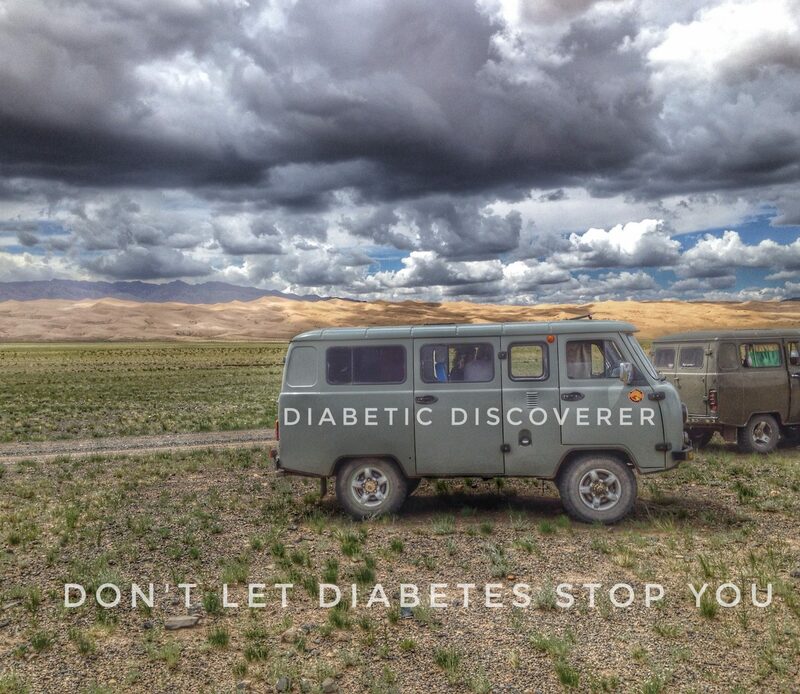 I’d love to pick your brains about diabetes abroad. If you don’t mind please drop me an email. I would be happy to help. Drop me an e-mail in armstrong_alex@hotmail.co.uk if you have any questions. Cheers.